Whether you are surviving the zombie apocalypse or a nerve-wracking competition, having a throwing knife could mean life or death. 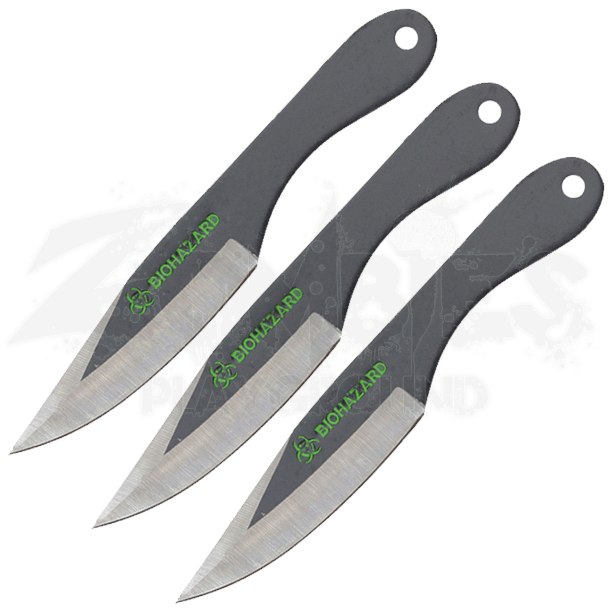 Fully equip yourself by adding the 3 Piece Biohazard Black Drop Point Throwing Knives to your arsenal! By turning the classic build of a drop point blade into a throwing knife, this trio of knives makes for an invaluable tool that could be key to your survival! Crafted from 440 stainless steel, these throwing knives are host to a dual-toned finish, the black handle accentuating the silver finish of the blades edge. A vibrant green biohazard symbol is engraved prominently on the blade before its dark background. Store the deadly trio in the durable, high-quality nylon sheath for a quick and easy way to bring your protection with you. 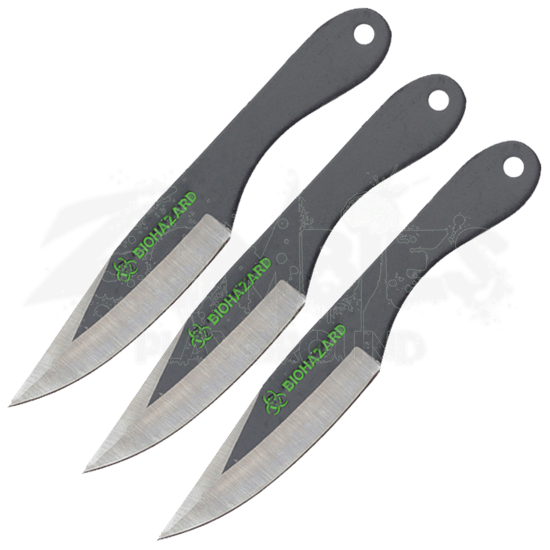 No matter the occasion, be it on the hunt for a lone zombie or taking home the prize of a throwing competition, you cannot go wrong with the 3 Piece Biohazard Black Drop Point Throwing Knives!